Posted February 9, 2014, in Student Alumni. Isabella D’Anella-Mercanti graduated with a BA in Sociology with a dual minor in Urban and Childhood Studies at Rutgers University. Graduating in Spring of 2014, Isabella sought to advance her studies in educational policy and focus on improving education within the Philadelphia region. 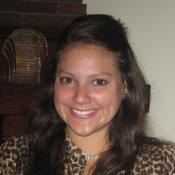 At WRI, Isabella worked on a counseling grant project within the Camden School District. This page was printed from http://rand.camden.rutgers.edu/2014/02/09/danella-mercanti-isabella/ at 4:43 PM Monday, April 22, 2019.